Happy Monday! Hope you guys had a great weekend! We got a ton done around the house, went out to dinner Saturday night and Coco spent hours at the park and with her little friends. Which by the way- thank you all so much for the sweet comments on the new home post. I appreciate them so much and can’t wait to share more with you all here. So I was never a big baby wearer with Coco. I tried one that made her (and me) so hot, the other few literally took me hours of Utube videos to figure out how to wear them just right…and even then, they never really worked for us. So I gave up and opted for the stroller. 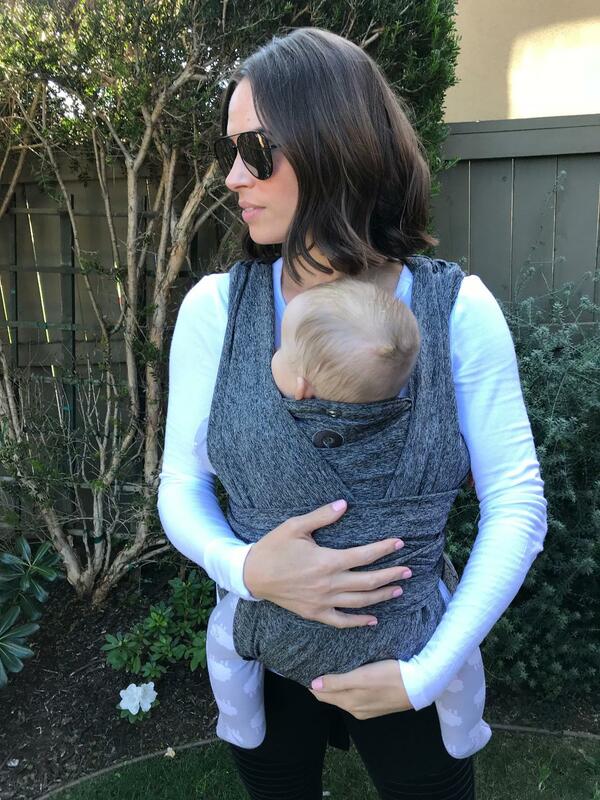 Cue the second baby, when you really need your hands free to tend to…everything. 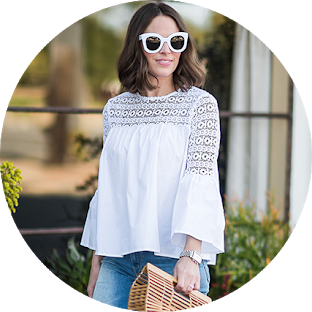 I bought a new fancy one I saw another blogger wearing…and although it looked very cool, I never really felt like Griffin was supported enough in it. The baby bjorn worked great but wasn’t comfortable for long periods of time. There were no great options. Recently I was introduced to the Boppy ComfyFit Baby Carrier. Guys, it’s made out of yoga pant material…need I really say more? 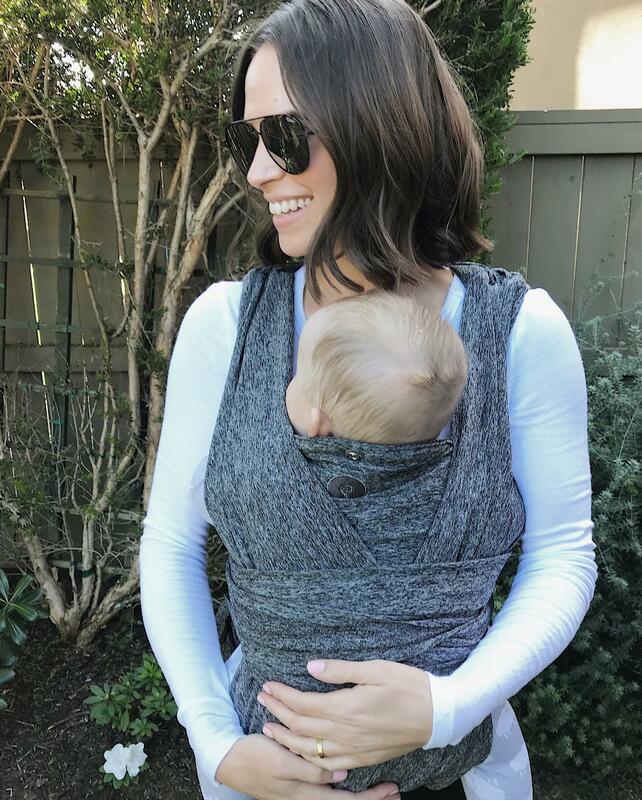 It’s designed for Moms and Dads to wear EVERYWHERE. Work. Play. Errands. Life…all of it. And let me tell you, it’s the most comfortable carrier I’ve ever worn. I’m finally fully sold on a carrier! When Boppy sent me the info on this carrier, they sent this video along with it which I had to share with you guys because I loved it so much. I cried. 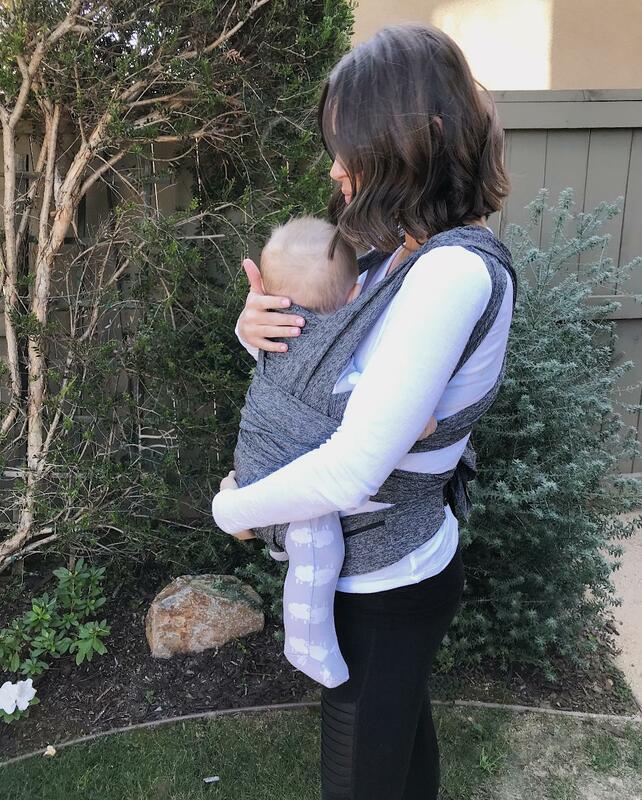 It’s of REAL Moms and Dads wearing the Boppy ComfyFit Baby Carrier in places you wouldn’t expect. Because if you’re a Mom, wherever you are or whatever you’re doing, you’re never not a Mom. The goal behind this carrier was to support Moms of all kinds, everywhere. And I think they nailed it! 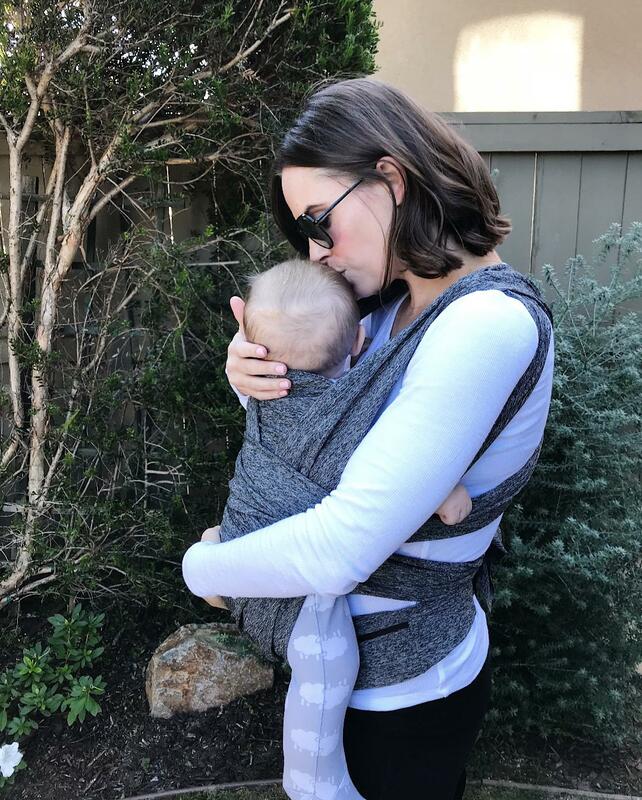 This post is in collaboration with Boppy; however, all opinions on how much I love this carrier are my own.